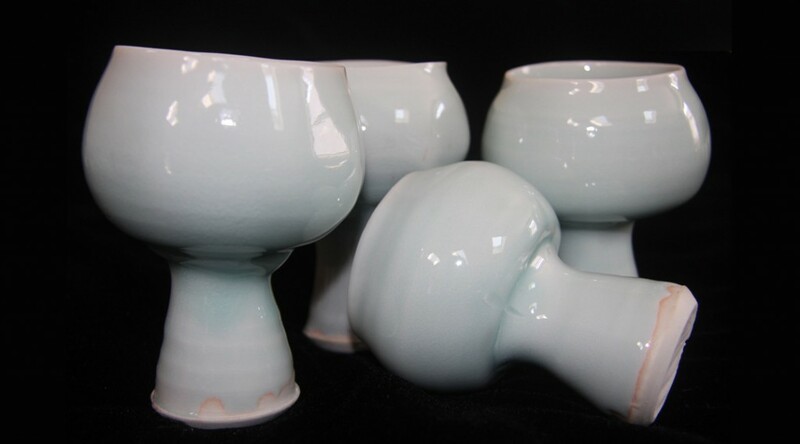 On September 8th, at 2 pm, we are reading and drinking from an art exhibit – Chalice – which includes 100 porcelain and celadon vessels of different shapes and sizes. Pick your favorite right off its velvet pad, turn it in your hands, have a cup of tea. Sit back and listen to readings from Ed Lin, Anelise Chen and me as we reflect on sacredness and spirituality in our society. While you are there, visit 50 artists’ studios as part of the Brooklyn Museum’s Go Project. Preview the Asian American Arts Alliance’s Locating the Sacred Festival. For the full day’s program at the NARS studios in Brooklyn, check out this flyer. For further information, please contact info@narsfoundation.org or 718-768-2765. I love this idea. And this wonderful festival has already begun. I will be reading and having a conversation about Country and Conflict tomorrow afternoon. Join us. The full schedule is here. Once our stories leave us, they have a life of their own. Your story will touch many lives: give voice to some who may have felt voiceless, and remind others that they are not alone. The best part is when the storyteller herself is given the gift of hearing from others and discovering the community that has always existed around her. I could feel [Reiko’s book] taking shape inside of myself, it was taking me to a place of greater strength and understanding for writing my own memoir (which is currently half complete and in a perpetual state of change and discovery). I was reading and writing and taking deep breaths and starting over again and again with the belief that I can, in fact, write this book, tell my story, find words for it all, find a reason to be who I have become. I invite you to read her story here. We talked about reinvention, and revision. About a different ending, and about how sometimes, when you don’t know who this voice in your head is, all you have to do is ask. We discussed picking a cold place for a story, going to Paris, and passing: passing up, passing for, passing through. We did some math: What is love plus freedom in your book, and what does love minus freedom equal? We had a wonderful day in Baltimore, Bernice McFadden, Jacqueline Luckett, Leila Cobo, Linda Duggins and I. It was an encounter made possible in part by Joy Bramble, publisher of the Baltimore Times whose earlier chance encounter with Linda Duggins began with “My feet were killing me…”. Many thanks to the Enoch Pratt Library, Judy Cooper, and everyone who supported the event, who came, who asked questions. At one point, an audience member got up and gave us an amazing gift. She had read every book, and she told us what she learned from each one and the reasons why she will never be the same person as she was before she read them. Thank you, Ella Curry, for your words. Love plus freedom: math I never had to do in school. What does love plus freedom mean to you? The DC Examiner wraps up a series on all the International Women’s History Month panelists today with a short article on me. If you can’t make it, check out the series to see what you are missing. Thank you, Wendy Coakley-Thompson! Rizzuto is passionate about the power and cultural significance of storytelling in general and women’s stories in particular. “Storytelling – as humans but especially as women – is our way to build consensus and community, and the more truthful we are when we stand up and say ‘This is who I am, this is what I believe, or what I did,’ the stronger and more beautiful that community will be,” she declares. Looking forward to talking about women’s history this Saturday – the history of family, love, loss, death, community, and not the machinations of conquering countries. For more information, here’s a lovely preview in the Baltimore Times. 1:00 pm until 4:00 pm.